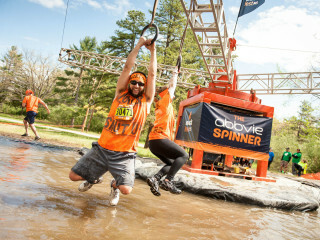 MuckFest® MS is built for laughs and muddy from the get-go. Teams run in the same wave so you can experience all the muddy shenanigans, epic spills and thrills together. Re-live the adventure and celebrate your accomplishments with a free beer (or soda) in the MuckFestival, refreshed by Traveler Beer. Little ones can frolic in the free Lil’ Muckers play area.